Ontario's long-running Wolfe Island Music Festival is celebrating its 20th anniversary this year, and organizers have now unveiled the lineup for event's 2018 edition. Charlotte Day Wilson, Yukon Blonde and Weaves top the bill, followed closely by the Weather Station, Sean Leon, Plants and Animals, Nap Eyes, Justin Rutledge, Mappe Of, Boyhood, Kate Boothman, the O'Pears, Nefe, Deux Trois, Major Love, Oakridge Ave, Justin Bird, Julia Finnegan, Bolu and Michael C. Duguay. 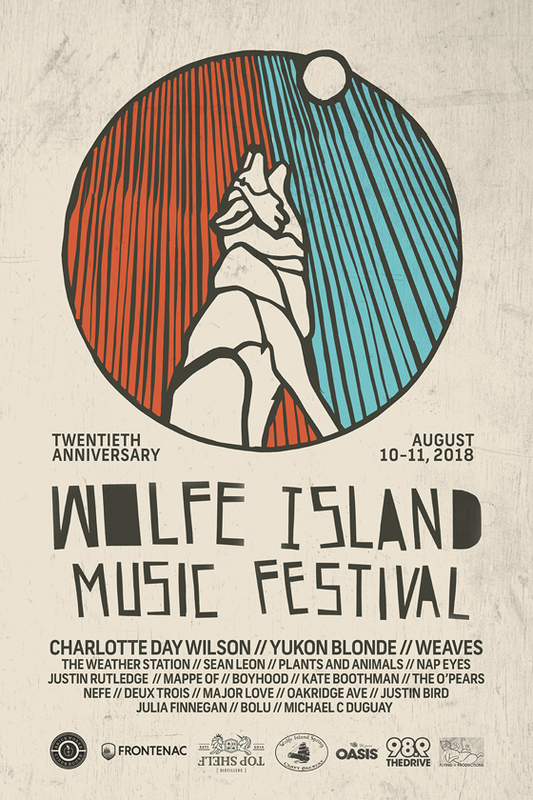 The 2018 edition of Wolfe Island Music Festival takes place August 10 and 11 on the fest's titular home among Ontario's Thousand Islands. Early bird tickets are set to go on sale May 17. Further information can be found through Wolfe Island Music Festival's official website. Sean Leon Returns with "DVP"